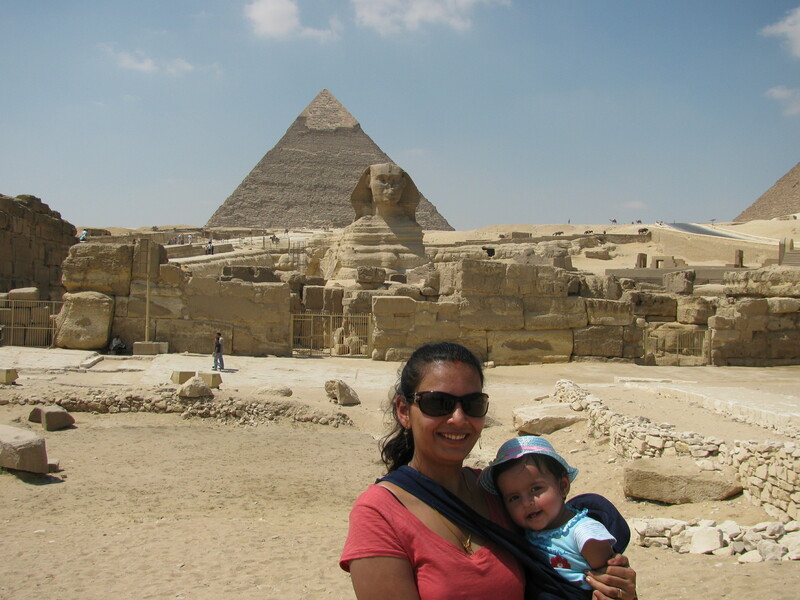 Bahrain Confidential > Articles > Lifestyle > Travel & Leisure > The Eternal Relics of Egyptian Glory by Dhanyasree M.
The Eternal Relics of Egyptian Glory by Dhanyasree M.
Dhanyasree M. shares her musings and mishaps during her travels to Egypt. The eternal Pyramids of Giza, the relics of Egypt’s past glory, always ruled over a vast area away from the bustle of the cities, in my imagination. 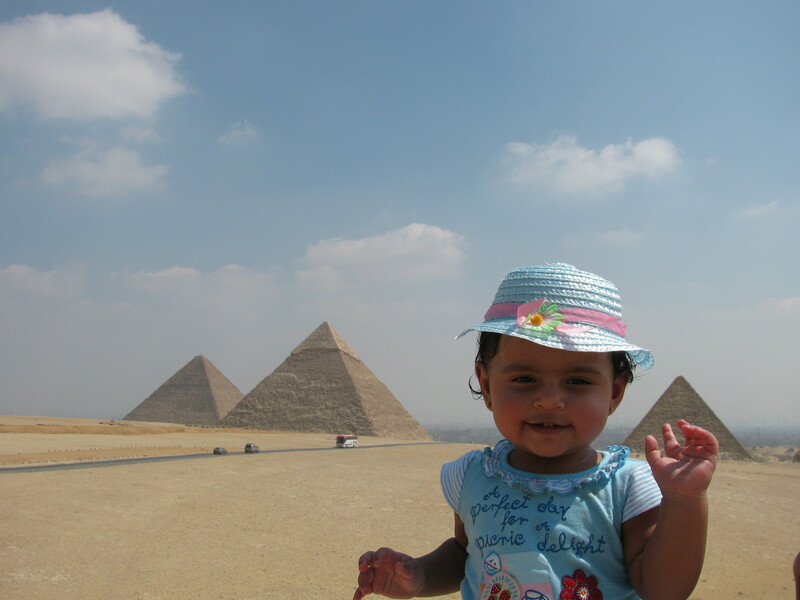 That’s why, I could hardly believe that we reached at the Pyramids grounds right in the middle of bustling Cairo. 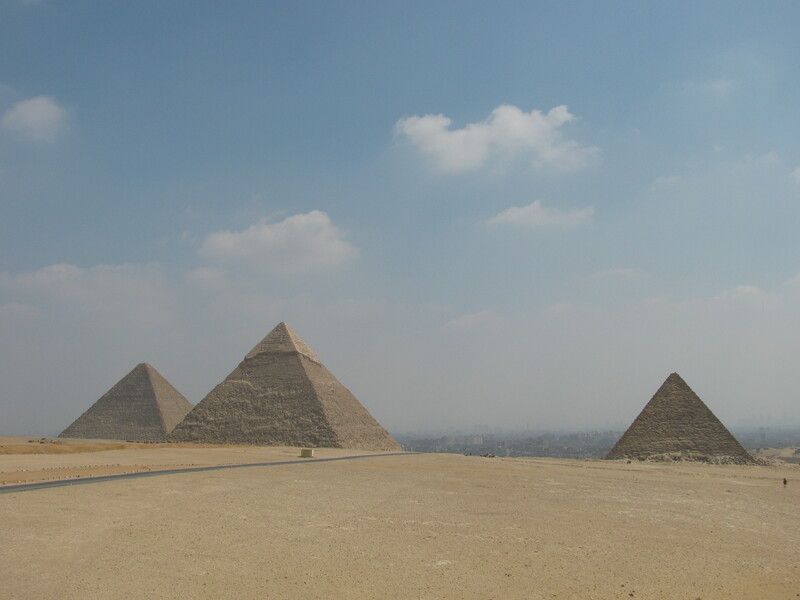 The Great Pyramids of Giza stood in all its glory in front of us; these pyramids were of King Khufu (tallest one), his son King Khafre and King Menkaure. Our guide mentioned that though the smallest, King Menkaure’s Pyramid, attained more respect and riches than his ancestors. Mythology, ancient engineering mastery and the splendours of the ancient Egypt are illustrated for the generations to come at the Pyramids. The Pharaohs believed in life after death. Thus, they erected huge tombs and amassed it with wealth that would sustain them in the next world. The Great Pyramid of Giza, built circa 2550 B.C, by the great Pharaoh Khufu houses two chambers dedicated to the King and his beloved Queen. Originally, King Khufu’s chamber was designed to be at a lower position. The proud Pharaoh later changed his mind and moved his burial chamber higher up in the Pyramid, hoarded with treasure. The treasure was later taken out to the Museum. On the other hand, the Queen’s chamber is still unexplored and adorned with shafts. The scientists didn’t dare to break in, since the shafts can also be traps to prevent robbers. The entire structure might come down with the destruction of a single shaft. Standing in front of the tallest man made structure over the world that towers over the plateau, we wondered over the mysterious construction. 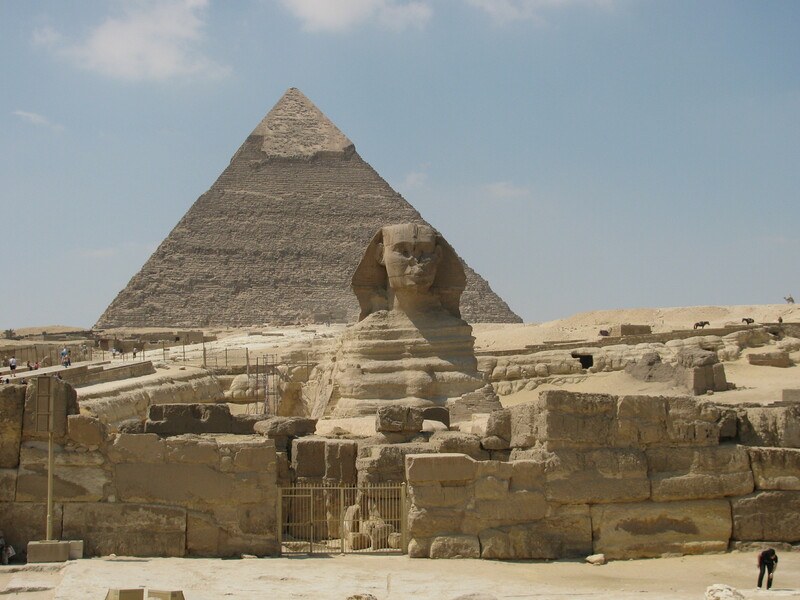 The construction of the Pyramids were from top to bottom than from bottom to the top. It must have taken almost twenty years to construct the Pyramid that would have begun during the lifetime of Khufu. Each day they had to cast approximately 800 tonnes of stones that weighed 2.5 to 15 tons. There are approximately 2.3 million stone blocks on the Pyramid. The construction and how the stones were quarried to the spot through the Nile in the Stone Age, still remains a mystery. Many people believe that the Gods aided the construction whereas, scientists believe in some natural eruptions. As many questions remain unanswered, the Pyramids still remain as the eternal relics of ancient glory. The Pyramid of Menkaure, is the only pyramid that allowed visitors into its chambers. Though excited to view the chambers, I was also nervous to go in due to my claustrophobia. Steep and narrow steps lead downwards and the stone roofs were cast so low to the steps. I had to bend low as possible to reach the narrow passage, which were covered on both sides by huge stones. Sphinx, on whose feet the great generation bowed! I thankfully sat at the edge of the big stone tub without realizing that King Menkaure’s mummy was laid to rest at that very spot. As I watched the tomb art, the guide updated me of King Menkaure’s mummy, its move to the museum etc. 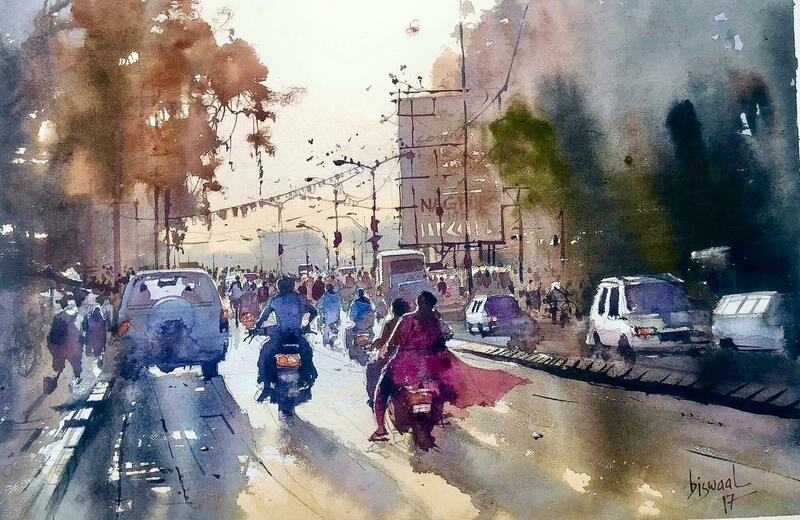 Not a single word entered my troubled mind at that time. The return to the entrance was more tedious due to more visitors and we had squeeze the way for each other. When I reached the entrance, I felt like Eurydice, who returned forever. My insides were churning and I was exhausted by living my worst phobia. Our final destination was at the Sphinx, the largest limestone monolith statue in the world. Included in the necropolis of Pharaoh Khafre, the Sphinx has the lion’s body and Pharaoh’s face. Long been worshiped as the guiding God, Philosopher, protector and creator of great ancient Egypt, Sphinx went under sleep beneath the sand layers till 1400 BC. The young King Thutmose IV had a dream about Sphinx in 1400 BC and began the excavation, continued by Ramesses II the Great in 13th century B.C, and completed only in 1936. For 5,000 years, this monument must have seen all the Suns that man can remember and the history of Egypt in its best glow. Through the ages, it has received many names through the people who came in adoration. Generations bowed before it, and will be there for years to come. 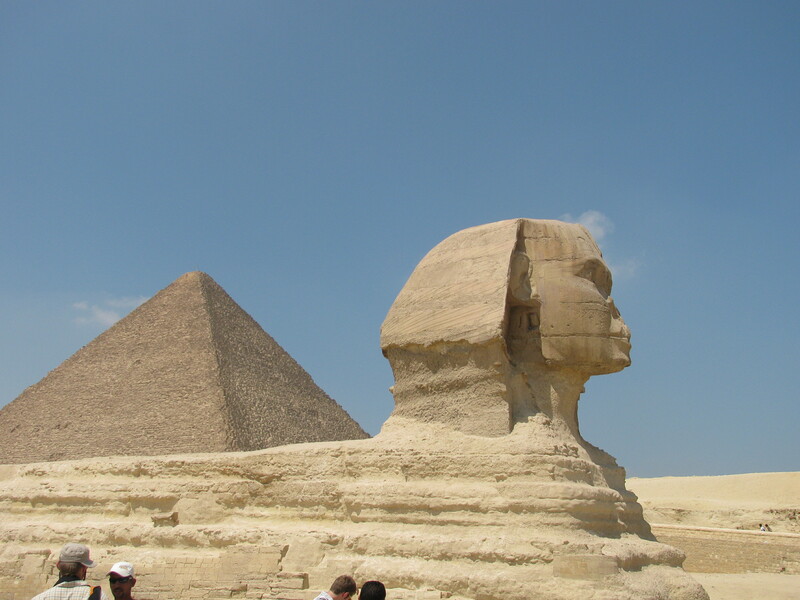 As I stood transfixed, I noticed that something was missing on the Sphinx the nose! There are many tales regarding the destruction of Sphinx’ nose including Alexander the great knocking off the Sphinx’ nose. Who took nose? If any one of you find Alexander The Great, please take revenge ! !